Folic Acid Deficiency - What Can Happen? Home PRENATAL CARE PREGNANCY DIET & NUTRITION Folic Acid Deficiency – What Can Happen? 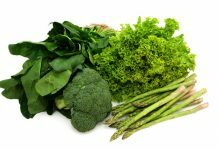 Folic Acid Deficiency – What Can Happen? One of the first things that a pregnant woman is advised to do is start on a folic acid supplement. In fact it is recommend that if a woman is planning on getting pregnant, she should start taking a supplement even before conception, so that when the conception occurs there is no folic acid deficiency in the body that may adversely affect the growing fetus. 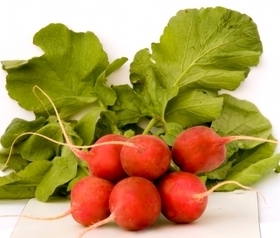 Folic acid is necessary for a number of important bodily processes such as production of healthy red blood cells and a folic acid deficiency can cause anemia. Folic acid or folate is vitally important when there are ongoing processes of growth and cell division, particularly in the early part of a pregnancy. A folic acid deficiency could lead to a neural tube defect in a developing embryo. Neural tube defects are the malformations of the skull and spinal cord and brain wherein some babies may be born with exposed brain or spinal cord. Ensuring that there is no folic acid deficiency can significantly reduce a baby’s chance of being born with neural tube defects and also problems with the urinary tract, limb defects or other congenital problems such as a cleft lip, and heart defects. 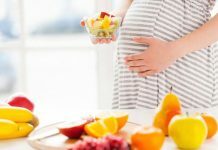 Doctors generally advice women who are planning a baby to start to fortify their diet with foods rich in folic acid or add a folic acid supplement to the diet to avoid a folic acid deficiency as soon as they start to try for a baby so that a number of serious birth defects can be avoided. The importance of reducing folic acid deficiency in pregnant mothers is very well established, and to some extent this is also the case for men; since folic acid may to some extent reduce chromosomal abnormalities in sperm. So it may make sense for a couple to try and negate any folic acid deficiency that either may have as soon as they decide to have a baby. Inclusion of green leafy vegetables in a person’s diet or eating cereals fortified with folic acid are a good way to avoid a folic acid deficiency. A supplement is also recommended for avoiding such a deficiency, with pregnant women being advised a higher dosage of the supplement than others. Usually recommended dosage to prevent folic acid deficiency during pregnancy is 600-800 micrograms. Next articleExhaustion During Pregnancy: Why It Happens? Thanks for the valuable information. I was virtually unaware that folic acid can be so very essential. We are planning to have a baby soon and this information will be really of great help. I wonder why the doctors don’t mention this early!! !